As a surprise to probably no one—and just like everyone else in the world—the Blueprint team seriously loves Game of Thrones. As heartbroken as we are that the television series is coming to an end, we’re also excited at any opportunity to drop a GoT reference. Seeing as we’re big into weddings—and Westeros—we thought it would be great fun to try and navigate a Westerosi wedding. What makes a marriage legal in Westeros? What is considered good and bad etiquette? Should you wear chainmail to a Frey wedding? Should your vanguard always be ready for a quick getaway? 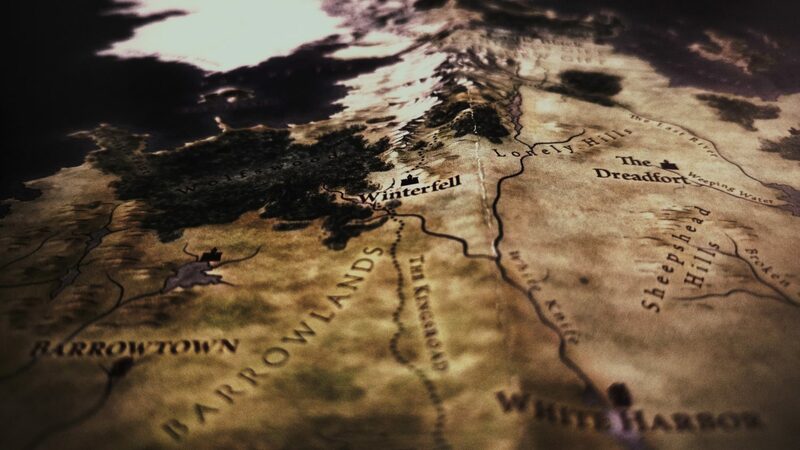 Based on what we’ve learned about Westerosi customs over the years, we’ve compiled some guidelines to attending or hosting weddings throughout the Seven Kingdoms. Warning: This post contains spoilers though Season 7 of Game of Thrones. 1. Don’t let anyone else pour your wine. Given how Joffrey’s brief marriage to Margaery turned out (yikes), we can all agree that serving our own drinks at a Westerosi wedding is a must. Everything goes in Westeros—and you never know when your grandmother-in-law is trying to poison you at your own wedding reception. Unless purple is your house color or your wedding theme, best to protect oneself from another Purple Wedding. 2. Do share wine and bread with guests, but this means you can’t hurt them. This is one rule that all Westerosi can agree on. If you have visitors, and you share your bread and wine, you can’t do them any harm. This rule was famously ignored by House Frey at the Red Wedding, and ultimately that decision came with the cost of the complete destruction of their house (thanks Arya). Weddings should not be used as a strategy to bring harm to your guests. Save that for the battlefield, please. 3. Don’t stick around too long once the newlyweds have left the celebration. It is Westerosi custom for the newlywed couple to eventually leave their guests to, ahem, make the marriage “official”. We were all witness to what occurred once Edmure Tully and Roslin Frey left their wedding reception (hint: it was very, very not good), so we’re going to go ahead and offer the following tidbit of advice: Once the newlyweds have left the party, it’s probably time to start thinking about going home. Things can get rowdy after hours at a Westerosi wedding, especially for those whose houses may have some lingering tension. Best to boogie, we say. 4. Do take steps to keep your secret elopement as secret as possible. We’re all for eloping if that is what the couple believes is best for them. However, if you intend on eloping secretly—as in hoping no one ever finds out as long as you live—it’s best to make sure all the loose ends are tied. 5. Don’t marry Cersei’s children if you wish to rule the Seven Kingdoms someday. Queen Cersei, unfortunately, has established quite the resume for eliminating people that stand in her way of being in power. Although she fiercely loves her children, their ultimate happiness is still insufficient if she doesn’t approve–or is threatened by—their spouses. We recommend maybe steering clear of any of Cersei’s offspring if it’s the crown you seek. Wiggling your way into her family has proven ineffective so far, so maybe try the battlefield instead. Also, can you even imagine having her as a mother-in-law? It just doesn’t seem worth it. 6. Do make the marriage legal. There are several steps and rituals required to make a Westerosi wedding legal. First, a septon or maester must be present to perform the ceremony (which will vary according to religion). Secondly, the vows exchanged between the betrothed must be said of their own volition. For example, if you are held at swordpoint and being forced to exchange vows, the marriage is not valid. Finally, see #3 above for the final step in legalizing a marriage. You get the idea. 7. Don’t have cake, have pie! Although cakes of different varieties are aplenty in Westeros (for those who can afford them), it’s actually traditional to serve pigeon pie at weddings. The higher nobility you are, the bigger the pie gets. They are intended to feed the entire party, and if you’re fancy enough, the pie will be filled with live pigeons to release before eating. How exciting! As tempting as a pigeon pie sounds, we may have to pass in lieu of Sansa’s favorite lemon cakes. We’re sad to see one of our favorite TV series come to an end, but we can’t wait to see how this incredible story unfolds. If you’re anything like us and planning a feast for the premiere, our friends at Food52 have a list of dishes that would be perfect for the occasion. If you’re planning a Westerosi-esque wedding, we hope our dos and don’ts aid you in your planning. Just make sure Varys has a good time. Everything you need to know before eloping, plus our favorite worldwide locations to exchange a simple and intimate "I Do". Should you have A + B lists? What about separate guest lists? Where will they all sit? We'll cover it all.